A proprietary Blend of 16 natural herbs, botanicals and extracts. For some people Candida and/or parasites may be adding to their gas and bloating problems. Many of the quality ingredients in Yeast and Parasite Colon Cleanse™ such as Wormwood, Black Walnut Hulls and Golden Thread are natural remedies for both yeast overgrowth and parasites. 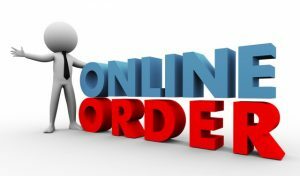 We also ad herbs specific to each condition plus mild colon cleansing herbs and extracts, creating a unique cleansing supplement. 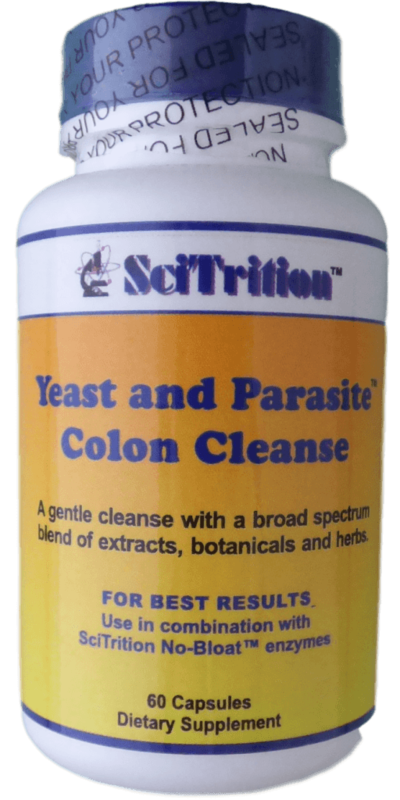 SciTrition Yeast and Parasite Colon Cleanse™ covers the bases in one easy formula. 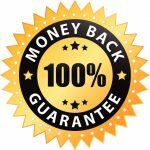 Yeast and Parasite Colon Cleanse™ can help with Candida Yeast overgrowth. Often ignored by the medical profession, Candida yeast overgrowth is actually common with today’s poor diets, in both men and women. A doctor may look at you like you are crazy if you suggest a host of undiagnosable maladies may be from a yeast overgrowth but why would prescription drugs specifically used to treat digestive and systemic yeast infections exist? Drugs like oral Nystatin and oral Fluconazole are prescribed to people whom have an overgrowth of yeast in their system. Yeast is at the root of many bloating problems. While No-Bloat™ contains anti-yeast enzymes which can dissolve the fibrous wall of yeast cells, Yeast and Parasite Colon Cleanse™ is a great head start in helping to clear overgrowths. Ingredients in Yeast and Parasite Colon Cleanse™ have been used for generations to help with parasite infections. Few people whom live in America ever consider that they may have parasites in their digestive system because they are often never detected. However, many studies show it’s not just a third world problem and that even in the USA up to 40 million people are infected with pinworms alone, and the difficult to detect Giardia parasite infects approximately 2.5 million people in the US each year. Approximately 1000 parasites are known to infect humans and it is widely proposed that approximately 85% of Americans harbor some kind of parasite. Of the 1000 parasites known to infect humans, lab tests only exist to detect some 50 types. People contract parasite infections from a multitude of sources including airborne, in soil, water, meats, fish, even fruits, vegetables and salads. Parasites can be a factor in poor digestion and bloating, the anti-parasite ingredients in Yeast and Parasite Colon Cleanse™ can help. By combining this cleanse with No-Bloat™ enzymes you add a key tool that can help with yeast overgrowth and parasites; as several of the enzymes in No-Bloat™ are natural yeast fighters. High quality, natural enzymes help ensure that food is broken down and digested properly which can help keep the digestive system clean and healthy. The triple attack on stomach bloat provided by No-Bloat™, Probiotic Mega Blend™ and Yeast and Parasite Colon Cleanse™ work well when used together. No-Bloat™ can relieve bloating by itself but works even better when combined with Probiotic Mega Blend™ and for those with yeast or parasite concerns a treatment course of Yeast and Parasite Colon Cleanse™. The broad blend of beneficial microorganisms in Probiotic Mega Blend™ helps restore the “good” bacteria to a healthy level and help crowd out bad bacteria and Candida. 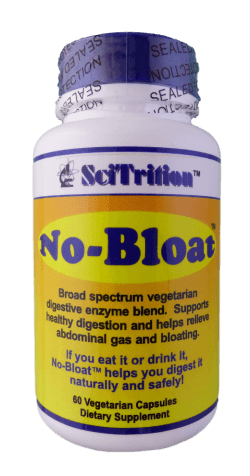 No-Bloat™ helps break down the sugars that the bad bacteria and yeast feast on, which can reduce the food available to them.